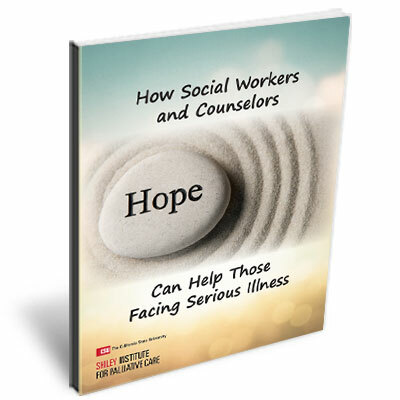 Download Your FREE Social Work eBook Here! Here’s your special report to help you work with families and patients when facing difficult conversations. Learn the seven things you should know when facing these difficult and complex situations. Hear how other social workers are dealing with these challenges. Post-MSW Palliative Care Certificate – 8-month, instructor led course designed to provide master’s prepared social workers with the knowledge and skills to be successful working in a palliative care, interprofessional environment whether that is in a hospital, hospice or other setting.